Some of the highlights of our Collection include time tables such as the one featured which is a Great Northern Railway Working Time Table from 1900. 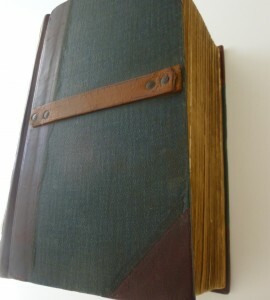 This was one of the items from the Yeomans bequest and our Friends’ group had the binding repaired. Another is the Transport Bygones, originally printed by a local newspaper. This was bound in a hardback cover to protect it.